These proposals at 32-42 Bethnal Green Road, Shoreditch are for 360 units and 3434 sqm of commercial space (with a density of 1544 hrph), involving regeneration of a critical city fringe site, within Shoreditch. The site sits next to the Bishopsgate Good Yard site, between two conservation areas, and also next to the new Shoreditch overground station. 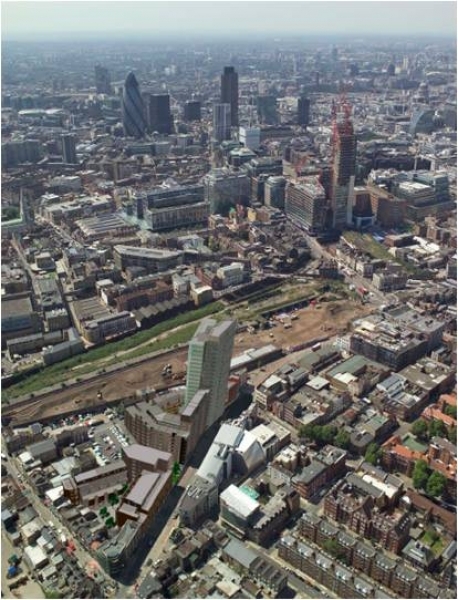 Taking these opportunities and constraints into account, CMA took forward proposals for a scheme including a 25 storey landmark tower element, which despite extensive public opposition, received approval from Tower Hamlets and the Mayor, together with a decision by the Secretary of State not to call in the application. 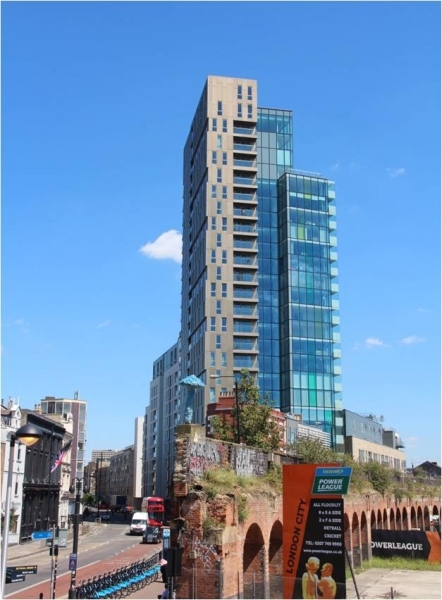 CMA Planning advised on the approach and planning strategy from conception and throughout the process, project managing the planning application process and securing approval from the London Borough of Tower Hamlets in May 2008. CMA were then part of the team that successfully fought off a Judicial Review of the permission in December 2008. 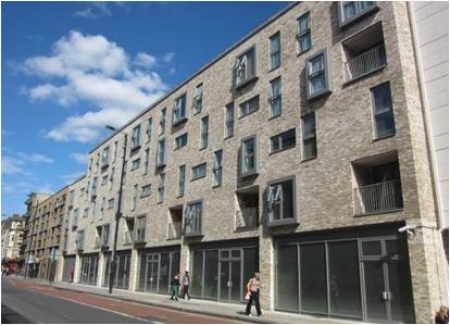 CMA then secured approval for amendments to the tenure and mix of the dwellings in February 2010 and again in July 2011. The scheme was completed in 2014.